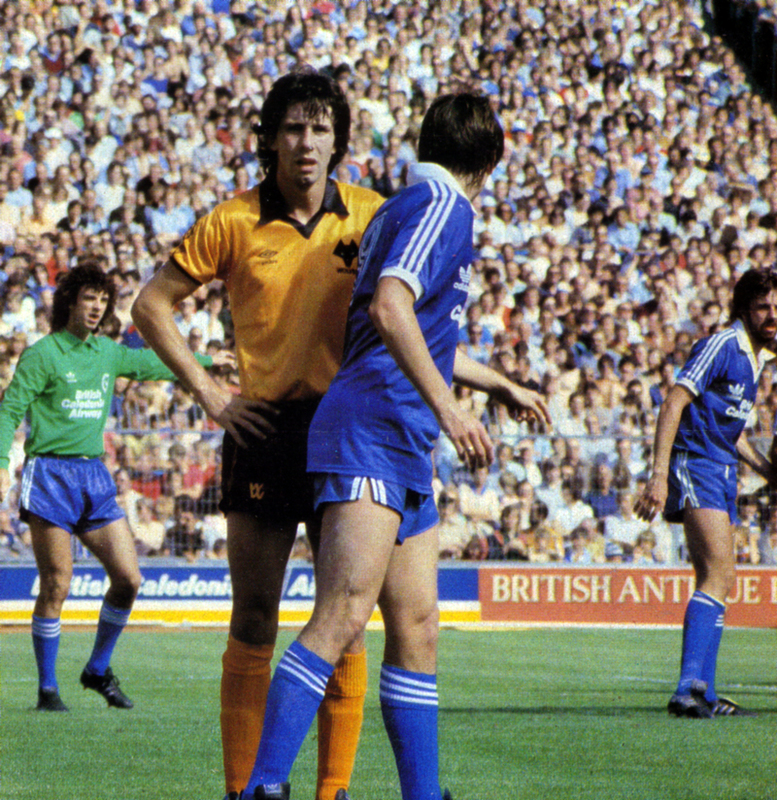 29th April 1978 is known to many Brighton supporters as the date of the Great Stitch Up. 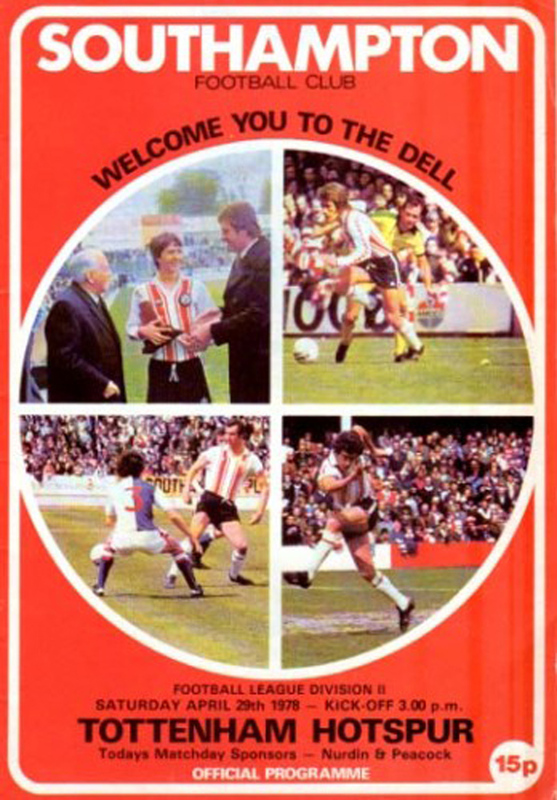 While Albion won 2-1 against Blackpool at a packed Goldstone in front of 33,431 supporters, to give themselves a chance of promotion to Division One, Southampton and Tottenham secured a mutually-beneficial 0-0 draw at the Dell to deny the Seagulls. Rather suspicious, eh? Over the years, I’ve heard many anecdotes about the day, not all of them consistent with each other: such as how the two managers Keith Burkenshaw and Lawrie McMenemy walked out arm-in-arm out of the tunnel, how Alan Ball hit the bar and never received a pass from his team mates again, how the players spent the match passing the ball around to no great effect around the centre-circle, and how Southampton missed a few sitters via a chap born in Eastbourne. Playing Devil’s Advocate, one immediate question is how Albion fans seem to have accumulated such detailed knowledge of what was happening at the Dell when chances are they were busy cheering on the Seagulls in Sussex. The answer is that the highlights to Southampton v Spurs were broadcast on Match of the Day that evening. However, with emotions running high, there is the obvious danger of angry Brighton fans amplifying a viewing of any cautious play or missed chances as proof of a cosy deal having been done rather than big match nerves. Due to the effects of what psychologists call confirmation bias, there was a likelihood that many Albion supporters had already decided what they wanted to think about the drawn match at the Dell by 4.45pm, and then watched MOTD to reinforce this perspective, filtering out any contrary information. Another sticking point is: why would Southampton wish to play out a 0-0 draw? They were virtually up anyway and it would have taken a massive swing in goal difference to deny them promotion. 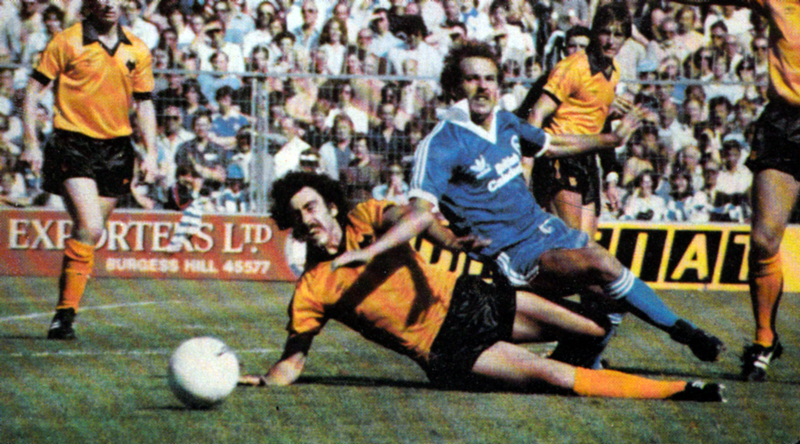 Besides, with Phil Boyer and Ted MacDougall up front, that Saints team had hit 44 League goals at the Dell in 1977/78. It seems incredible that they would play for a 0-0 draw in front of their own fans. Furthermore, a victory would give them a fantastic chance of winning the Second Division championship. When a discussion took place on the ‘He Shot. He Scored. It Must Be Peter Ward’ Facebook page recently, Ian Hine of seagullsprogrammes.co.uk suggested that a draw benefited Southampton as it would keep Spurs fans sweet. Their fans had smashed up the Goldstone in a 3-1 defeat a few weeks before, after all. Even so, put yourself in Southampton’s players’ boots: would you really give up the chance of a champions’ medal because of what an opposition’s hooligan element might do? I know I wouldn’t. It was the day Spurs manager Keith Burkinshaw “died a thousand deaths” – the day his team returned to the First Division with knees buckling, nerve ends smouldering like clawing Marathon men collapsing within sight of the tape. The Dell was alive with the electricity of the occasion as Spurs arrived in search of the vital point they needed. Behind one goal thousands of Spurs’ fans kicked holes in the £6,000 steel fencing specially erected for the occasion. The managers Burkinshaw and Lawrie McMenemy came out and shook hands. Alan Ball kissed his Player of the Year trophy, but nothing could quell the fury of the occasion. When it was all over, after Spurs had survived a series of Southampton attacks, Burkinshaw was full of sighs. Over the year he had seen his team establish a three-point lead at the head of the Second Division, falter dramatically and arrive with one match to go and the solitary point needed. Skipper Steve Perryman, a glass of champagne in his hand, said: “It could have been a real travesty if we had not made it. There was a lot of pressure on us. It’s amazing how we have given goals away late in the season. We used to call ourselves the Bank of England. Bit high and mighty to invoke the word ‘travesty’ there! Had Brighton made it, they would have ended the season showing the quality and form befitting a side ready for the top flight, unlike Spurs who won just two of their final eight Second Division matches. But the spotlight was on Spurs. They were the team on the rack. 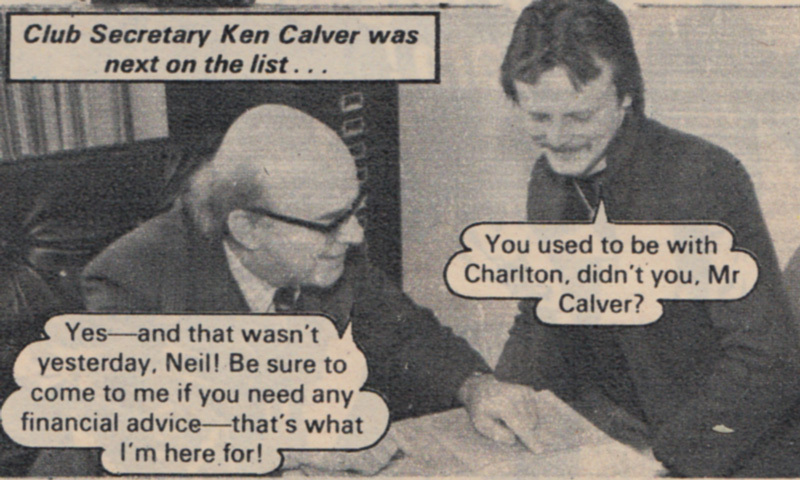 On the terraces hundreds of transistors brought bulletins from Brighton, the late challengers, and Bolton, the new champions, in the most thrilling promotion race for years. Could Spurs survive as the pressure mounted? Peter Taylor tried to win a penalty with a spectacular dive when Glen Hoddle sent him into the box, but most of the action was at the other end, and Funnell twice lifted the ball over the bar from good positions. Spurs sent on substitute Gerry Armstrong in place of John Duncan and he may have sent the confirmation that promotion seemed assured because the match became even more of a holding job than ever. As referee Don Biddle sounded the last whistle of a long, arduous season, the tension finally evaporated. There was delight and celebration all round the ground. The Spurs players did cartwheels. It had all been worthwhile. Saints’ supporters spilled on to the pitch and danced in front of the stands, waiting for their heroes to emerge and take a bow. For a moment, as the Spurs fans broke through as well, it seemed there might be a bitter and ugly confrontation. But a line of police and stewards – some of the police with dogs – managed to keep them apart. Bottles flew between the factions and ugliness had taken over what should have been an occasion of mutual joy. 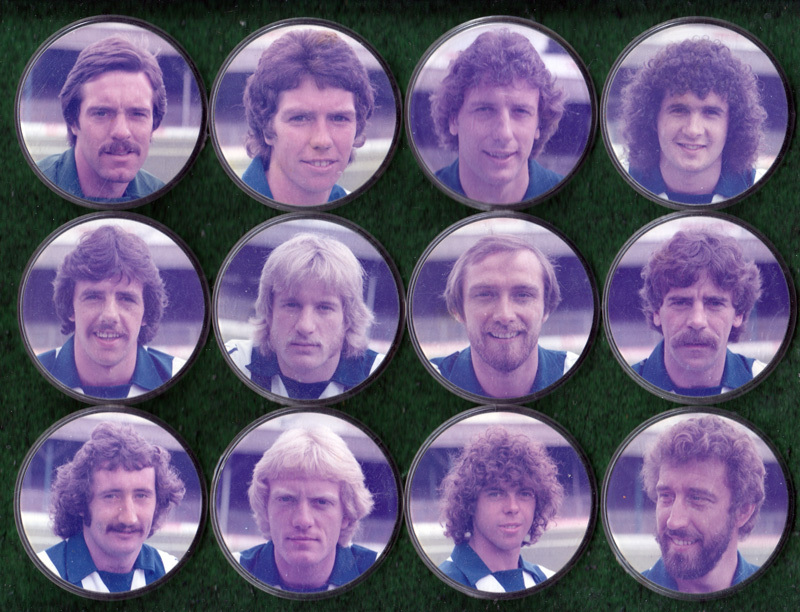 In the years that followed, Neil McNab, Gerry Armstrong and Peter Taylor in that Spurs team all joined Brighton & Hove Albion. It seems bit of a missed opportunity that none of them appear to have been asked about whether the sides did go easy on each other in that Dell game. If you ever encounter them, please ask! 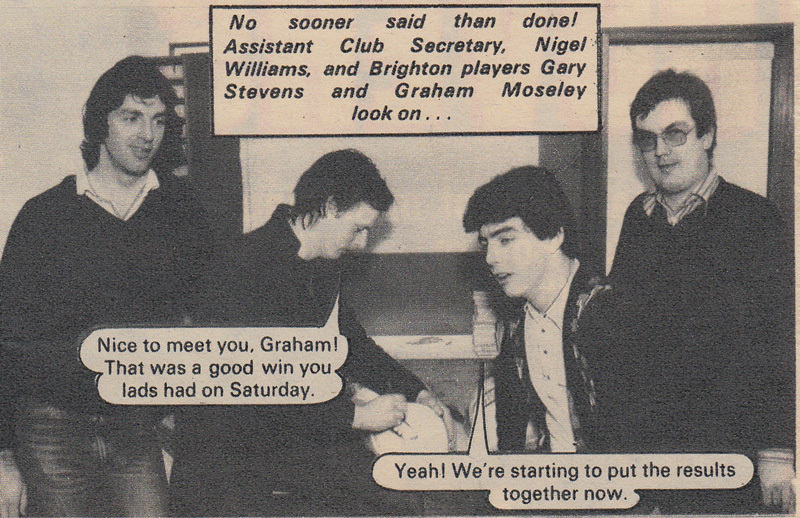 Although Neil McNab will have no mixed feelings about the outcome of Spurs’ visit to the Goldstone; he warns his former colleagues that despite Brighton’s lowly League position they will certainly not prove to be easy meat. “On our day we can beat anybody, as we’ve proved by taking both points off Ipswich and Aston Villa this season. “Much will depend on how we play, but if we can reproduce the form we showed after Christmas I see no reason why we shouldn’t win,” McNab predicted. But whatever the result McNab determined to end the jinx which has haunted him since he left White Hart Lane to join Boiton before moving to the South Coast. “I’ve never played well against Spurs either for Bolton or for Brighton,” McNeb reflected. “I can’t explain it other than to say that I know I can do well against them and feel that in the past I have probably been trying too hard to prove it. “To me it’s always a strange feeling playing against old friends, which is probably another reason for my disappointing performances, but I’ll be treating it as another game and will be going flat out to help Brighton win.” McNab is only too aware of how vital it is for Brighton to take both points on Saturday in their struggle to avoid relegation to the Second Division. “We showed what we could do when we played them up there in the early part of the season by getting a point, which was a good result for us as Spurs are one of the best attacking sides in the country. 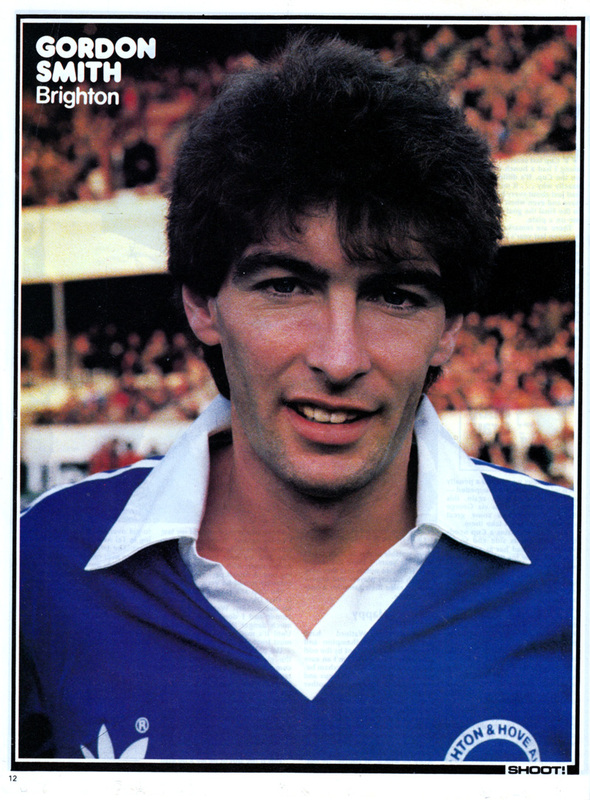 “Hoddle and Ardiles were on song for them that day but Gordon Smith played very well for us. “Our League position is very false as we’ve got far too many good players to be near the bottom, which is why I am certain that there is no way we’ll be going down,” McNab commented. McNab is also confident that Saturday’s match will continue his club’s revival, which started when they took maximum points from their three matches over the Christmas period. “Those results certainly made up for the times when we’ve been unlucky and lost though not playing badly. “I think it takes up to Christmas for struggling clubs to realise they could be in a lower division the following season,” McNab said. 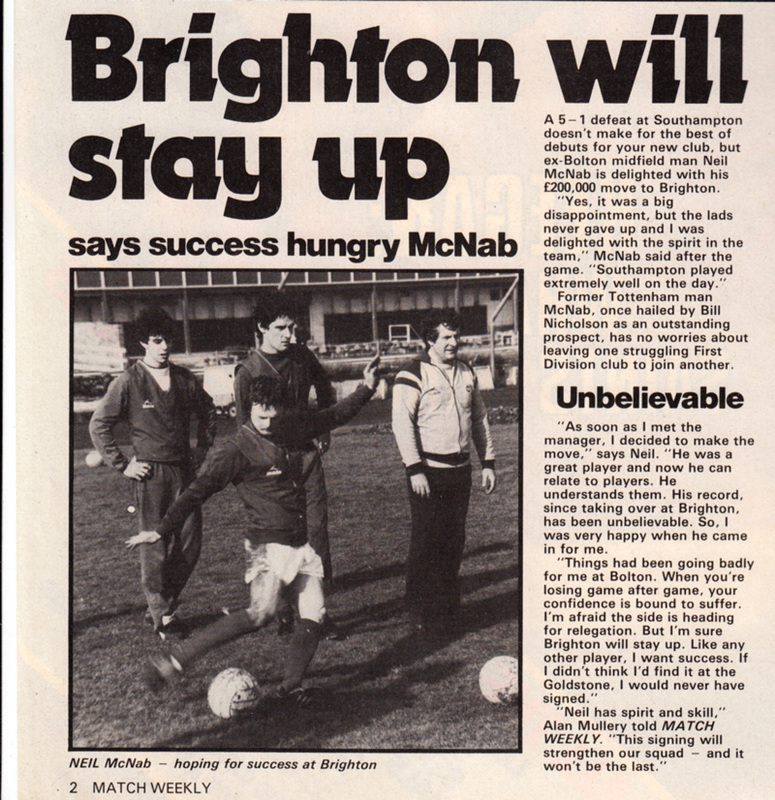 McNab is also certain that a Brighton victory on Saturday will help compensate the fans for the disappointment of losing to Manchester United twice in the same week earlier last month. “Those results were very frustrating – especially as we should have won that first Cup-tie and then we played our best game against them the following week and were still beaten. McNab commented: “While it’s nice to have a run in the Cup and continue the winning habit, I’d rather play against the elite every week rather than winning the Cup and finding myself playing in Oivision Two the next season. The scoreline was part of a curious spell when the Seagulls leaked two goals in eight consecutive matches from December 1980. Unsurprisingly, five of those matches were lost. 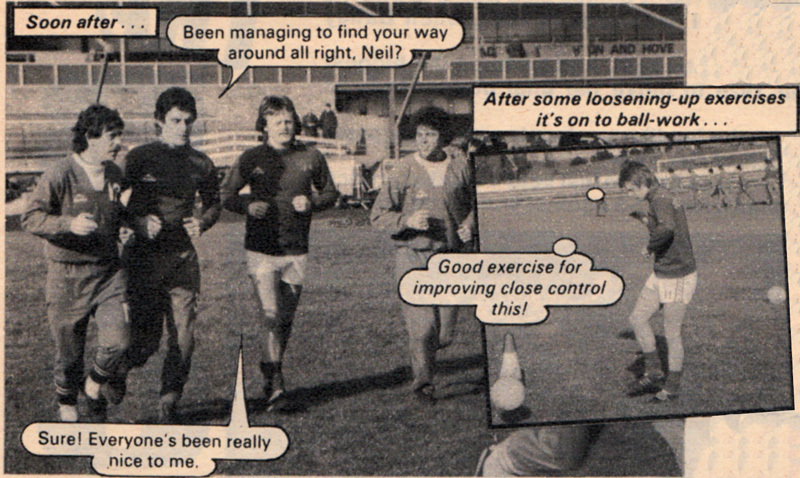 It took until the following season, 1981/82, when McNab finally got the better of his former team mates. Helped by a considerably tightened defence, Michael Robinson’s goal secured a Seagulls victory at White Hart Lane for the very first time. Ever wondered how a newly-transferred player faces his first day at a new club? Scoop takes you behind the scenes. In the fast-flowing action of an English First Division match, players on the field have no time for anything but the game they’re involved in. Sometimes, however, from a section of the crowd, calculating eyes will be watching the every movement of one player. 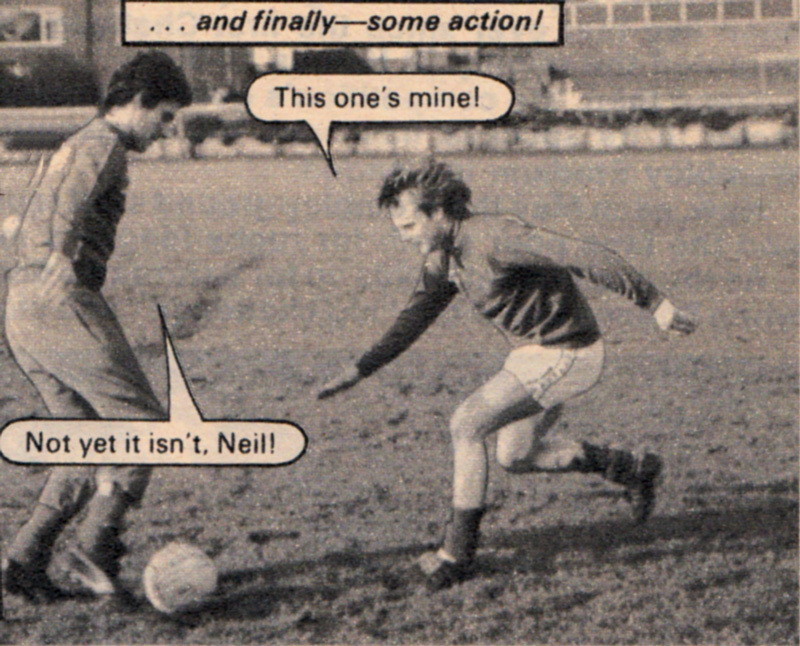 Such was the case with Bolton’s Neil McNab who, having unknowingly displayed his football skills under the watchful gaze of Alan Mullery, was about to become the new boy at Brighton. His words appeared in the matchday programme for the clash at St Andrews, on 7th February 1981, only the second ever League game between the sides. The first ended in a 2-2 draw at the Goldstone earlier in the season. 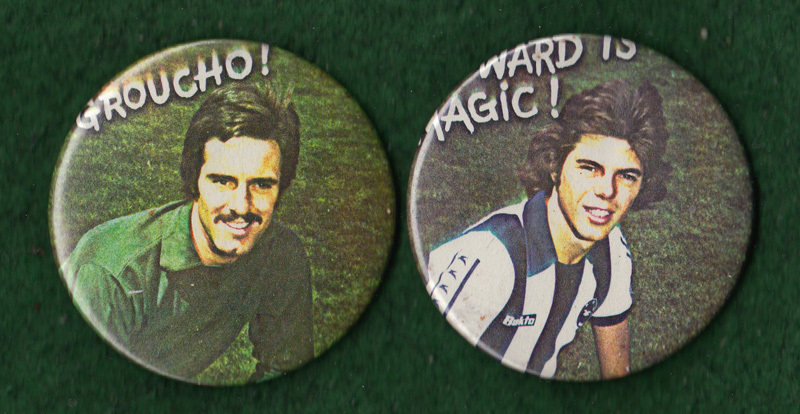 Albion scorers were Neil McNab and Mark Lawrenson. By the time of this return match in Division One, Brighton stood in 19th position, one place above the relegation zone. Birmingham were one place above the Seagulls but crucially had a four point cushion. Just like in the 2013/14 season, Albion had a new yellow away kit and sponsor to show off. 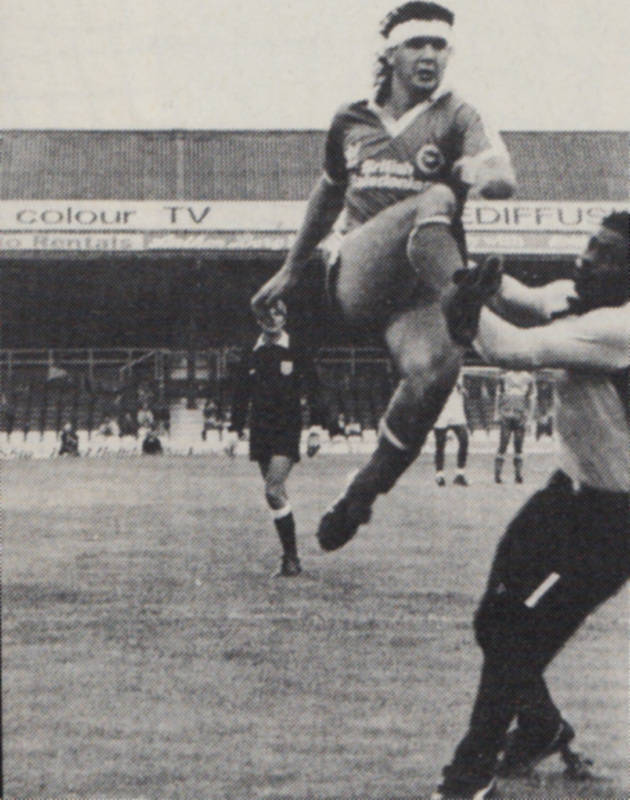 Here’s Peter O’Sullivan trying to stop a Blues attack. Albion went down 2-1, with goals from Tony Evans and future Seagull Alan Curbishley ensuring a fifth straight defeat for the south coast side. 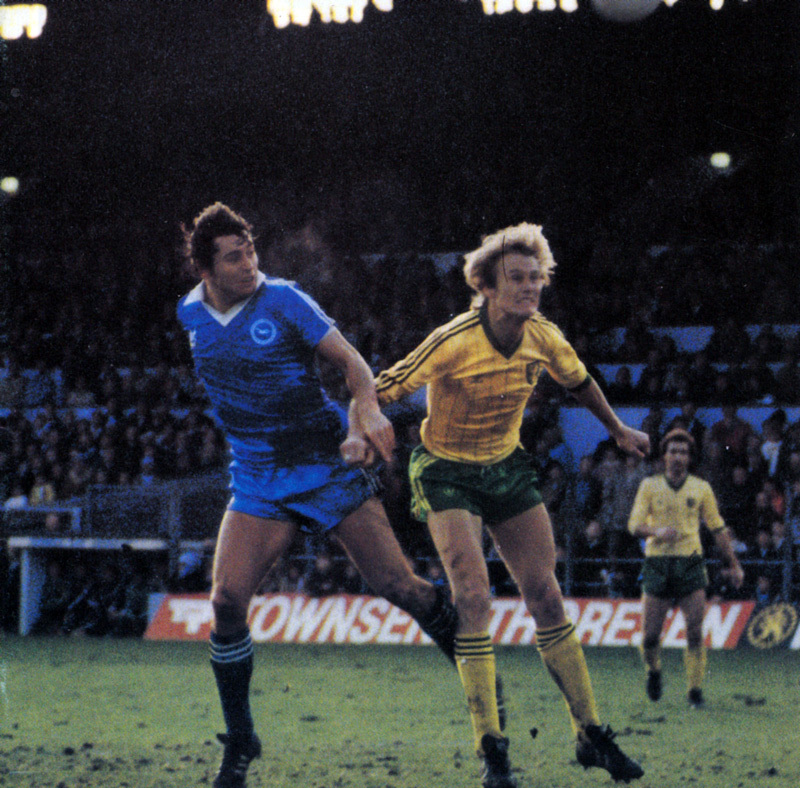 Converting a low cross from the overlapping John Gregory, Michael Robinson got a consolation goal for Brighton 19 minutes from time. It was a frustrating afternoon at St Andrews for the Albion, who found the opposing goalkeeper Jeff Wealands in inspired form. 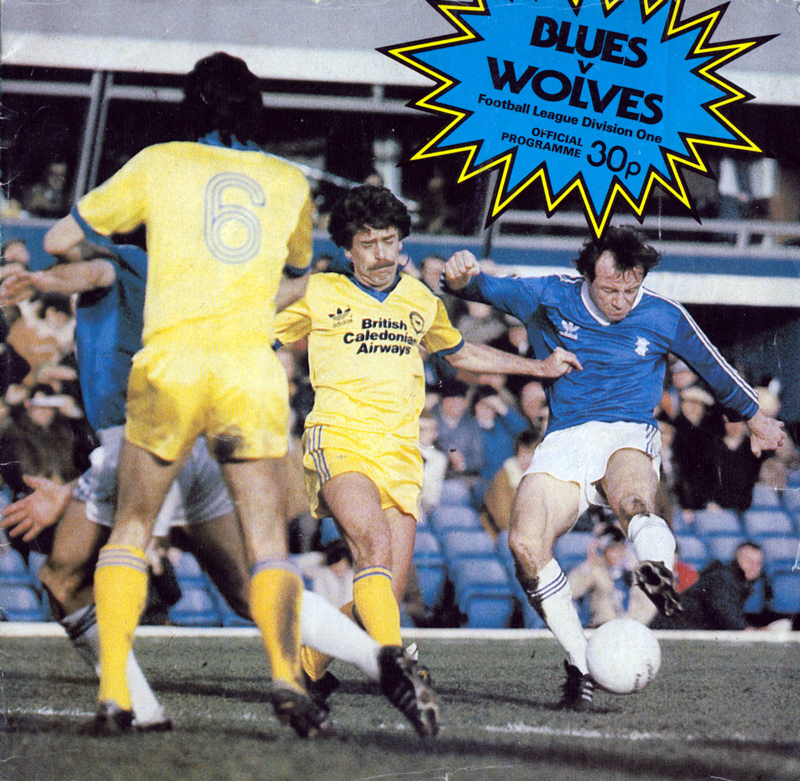 By the end of the season, the Blues had cemented their First Division status, pushing up to 13th position, although this was overshadowed by their neighbours Aston Villa carrying off with the First Division title. 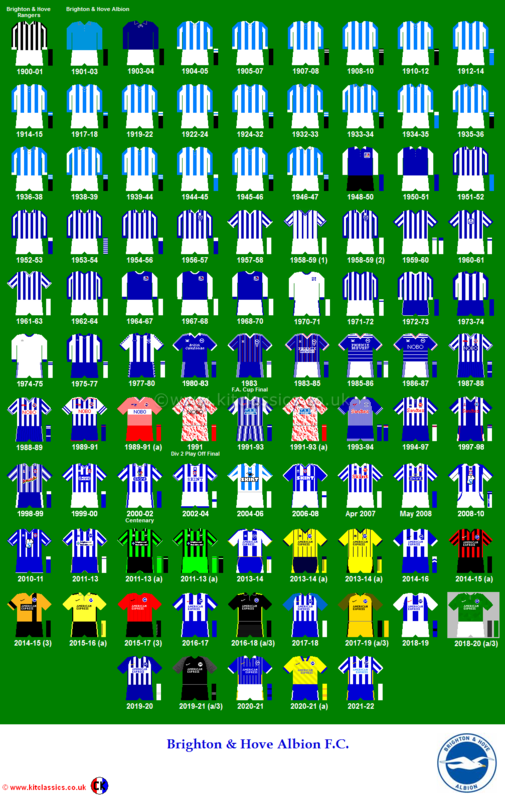 The 1980/81 Albion squad was probably the strongest in the club’s history. At least on paper. 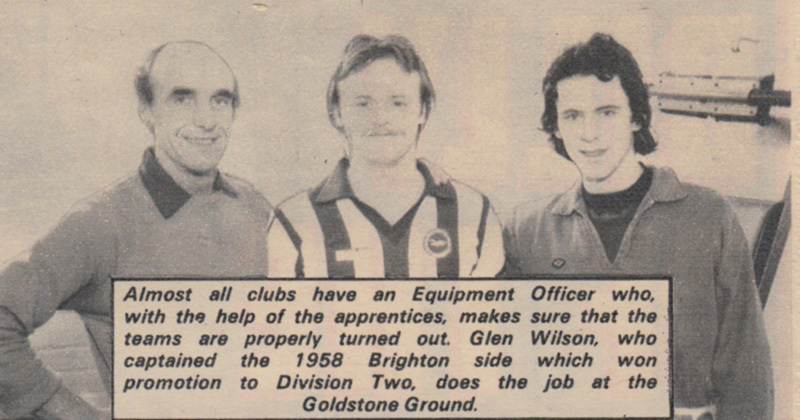 With their first season of top flight football behind them, Brighton looked to build on their experience, and were bolstered by Michael Robinson and Gordon Smith, two £400,000 captures. 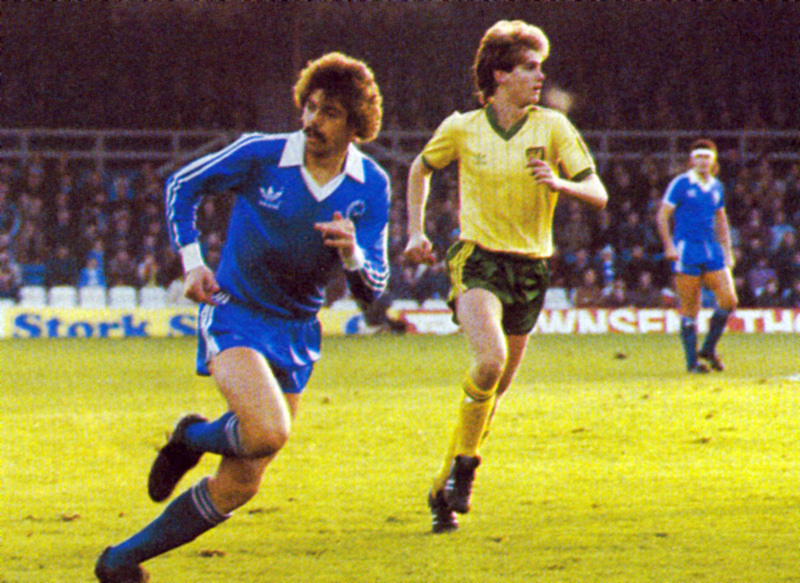 The Robinson-Ward striking partnership appeared to promise an avalanche of goals while Mark Lawrenson and Steve Foster seemed likely to keep things solid at the back. 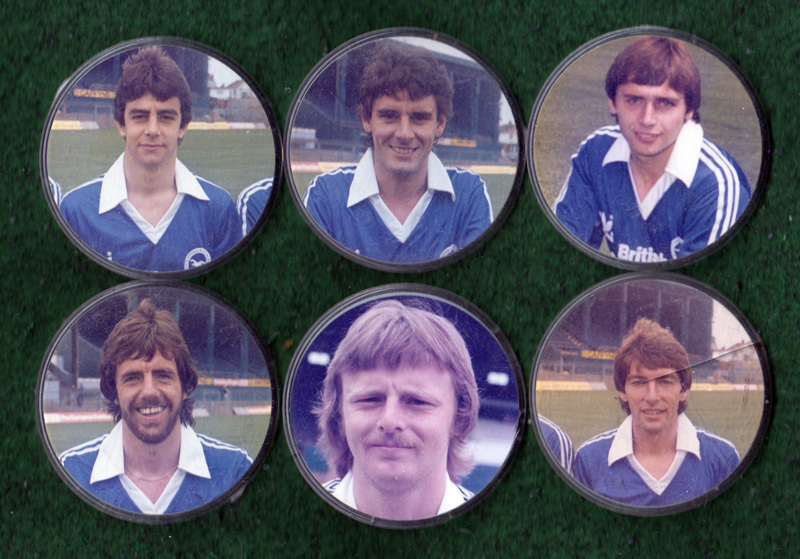 It certainly didn’t pan out that way, which is perhaps testament to the outstanding contributions that Ray Clarke and Peter Suddaby made to the Brighton side. 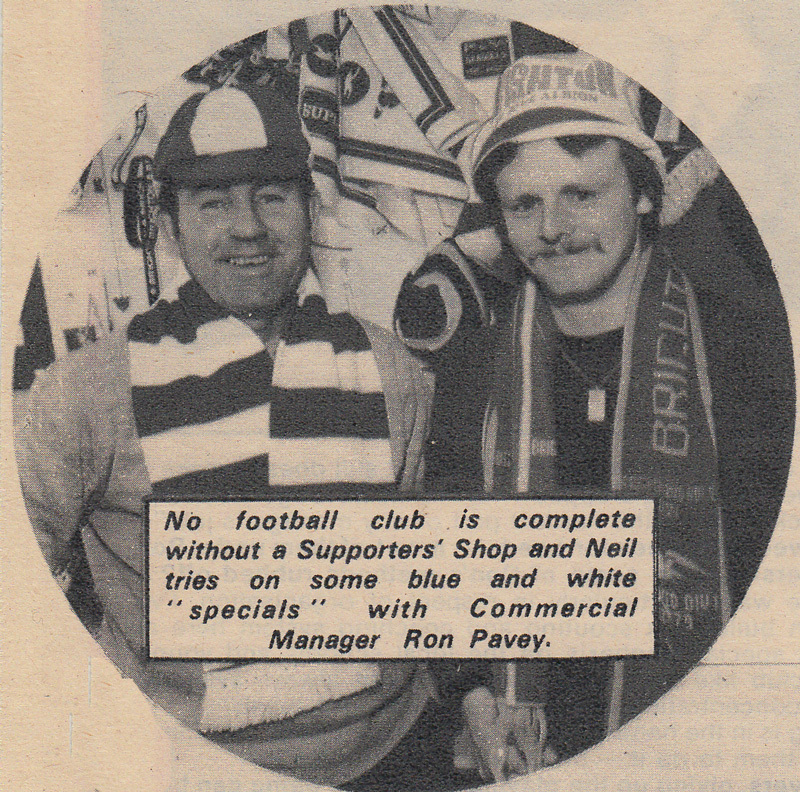 They both had a profound effect on Albion’s season when they joined mid-way in 1979/80. 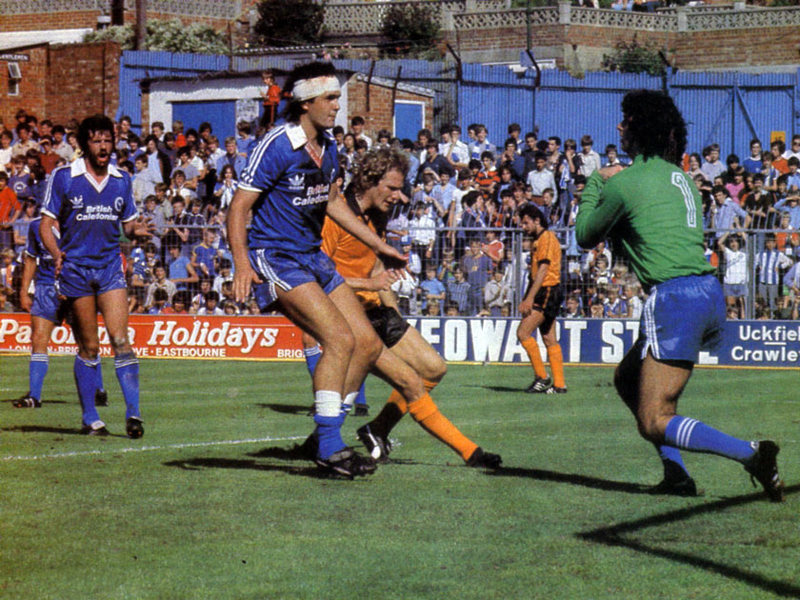 Their departures certainly coincided with a downturn in Albion fortunes, despite the opening day success, a comfortable 2-0 victory over Wolverhampton Wanderers in the sunshine at the Goldstone in August 1980. Last season the First Division induced in Brighton the sort of timorous insecurity common to squatters awaiting removal from their borrowed abode. 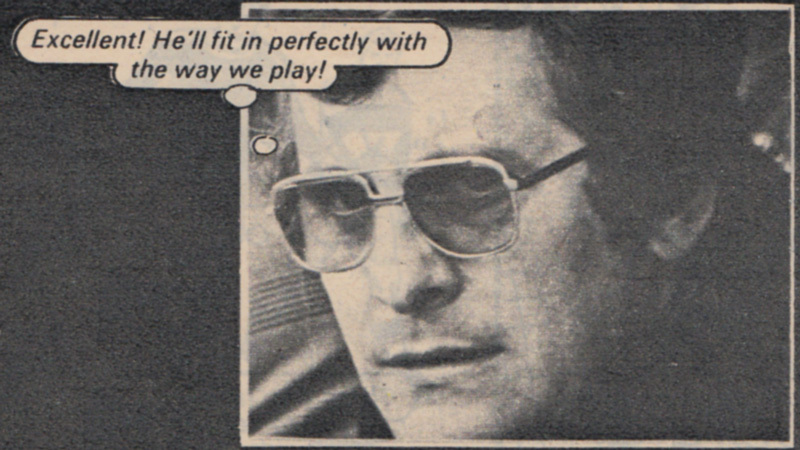 No mean appraiser of life’s realities in the big league, Alan Mullery saw clearly that reinforcements would have to be moved up if Brighton was to grow from a rather crotchety tenant to an established mortgagee. 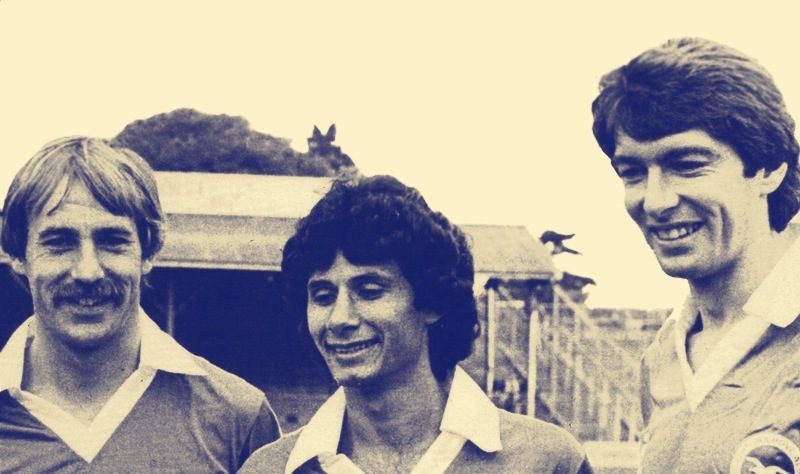 The departures of Ray Clarke, Peter Suddaby and Andy Rollings to pastures new heralded the expected re-jig and after a series of wrangles Mullery forked out a million pounds and came up with Gordon Smith, signed from Rangers, Ray McHale, the generator behind Swindon’s surge, Moshe Gariani, spotted in Israel during a club trip and finally, after much ado, Michael Robinson (below, middle), the Manchester City reject, unloaded by Malcolm Allison in a cut price deal. 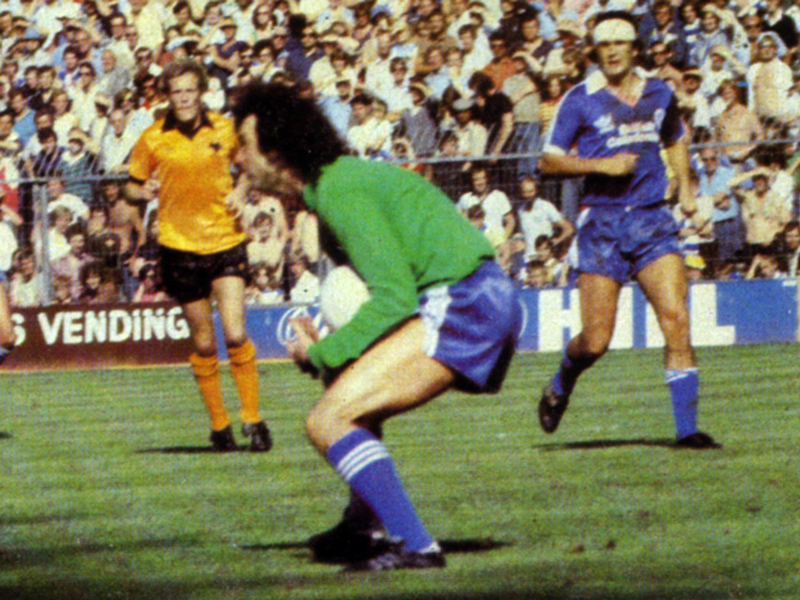 Robinson went to the Goldstone Ground hopefully to prove that Allison had been right to buy him in the first place, but hopefully remiss in sending him packing after one short season. Apart from those four it’s the same Brighton and at the end of the day success will depend on these players being better than those they have replaced, coupled with the experience of more prolonged First Division status. 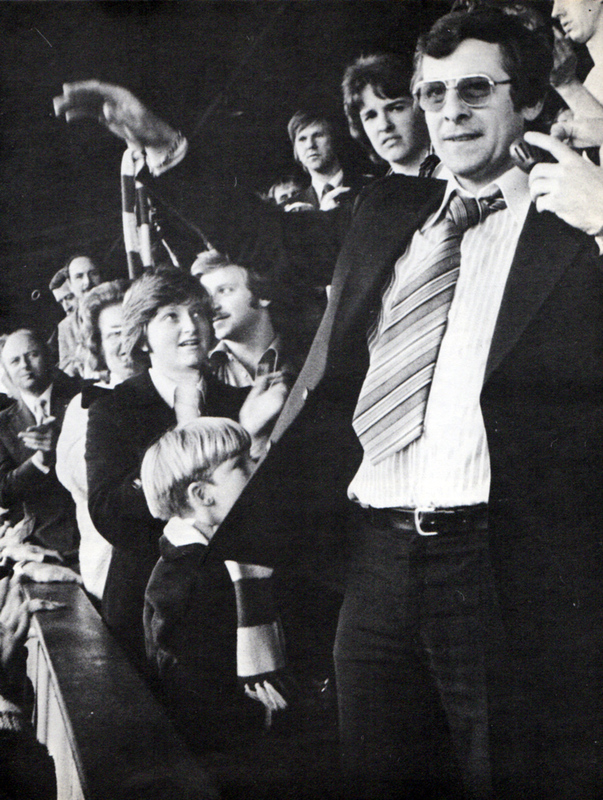 Mullery’s prognostications that Brighton will cause a few surprises started off with a bang when Wolves, the team many tip to challenge the leaders, were reminded that the supposed no-hopers from the south would certainly not help them in their aspirations and were duly beaten by them 2-0. The blend looked good. 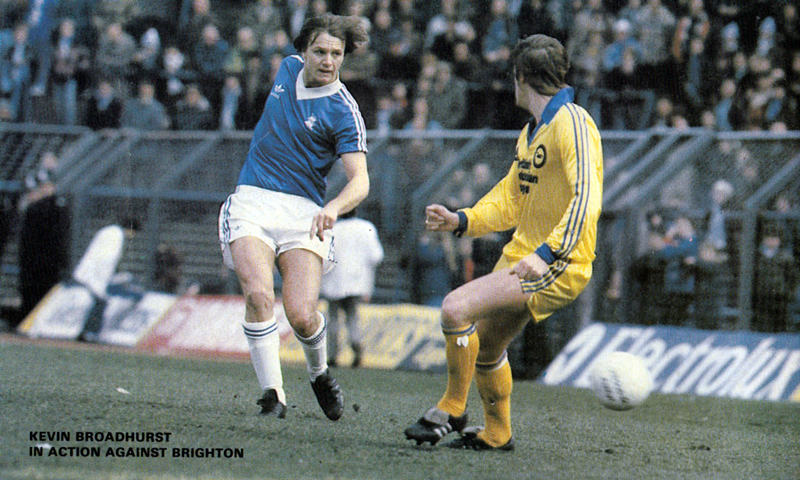 Smith, everybody in Brighton averred, was another Trevor Brooking. McHale’s industry was commendable and Robinson, if nothing else, confirmed that he was unlikely in the next few years to halve his value again. 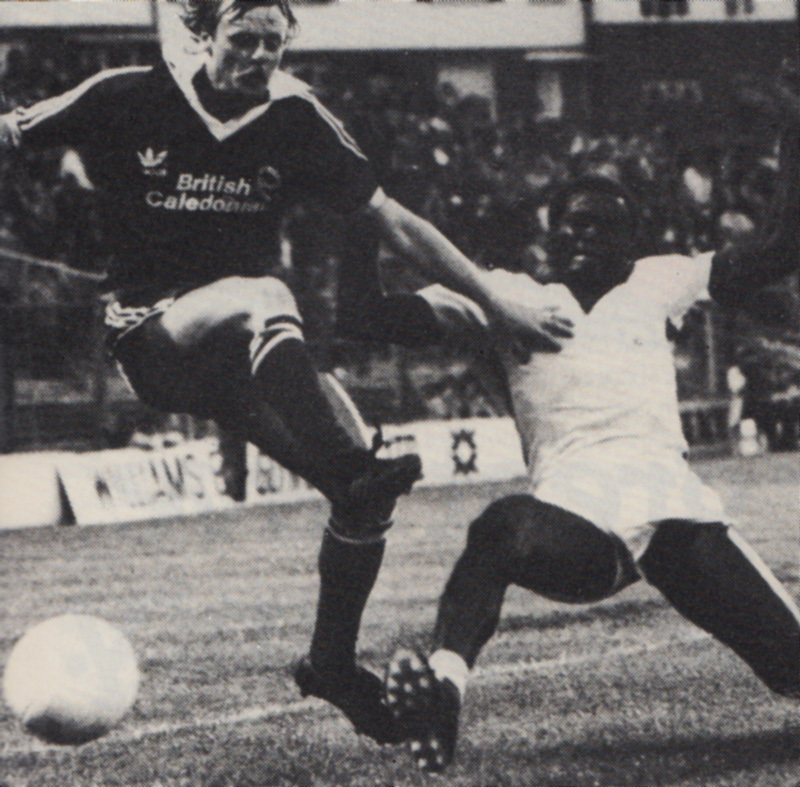 Robinson, whom nobody apart from Malcolm Allison thought a near million-pound player, now has to prove that he is a near half-million player. The next game was not so auspicious but nevertheless, despite defeat, demonstrated Brighton’s senior status against another of this year’s tips for the great ‘Nick the title off Liverpool’ campaign, Ipswich. Taken all round in victory and defeat, this new-look Brighton is a tight outfit with a very solid back four, a midfield that is directed by skipper Brian Horton and a front line that once gets to know itself could produce problems for even the best. 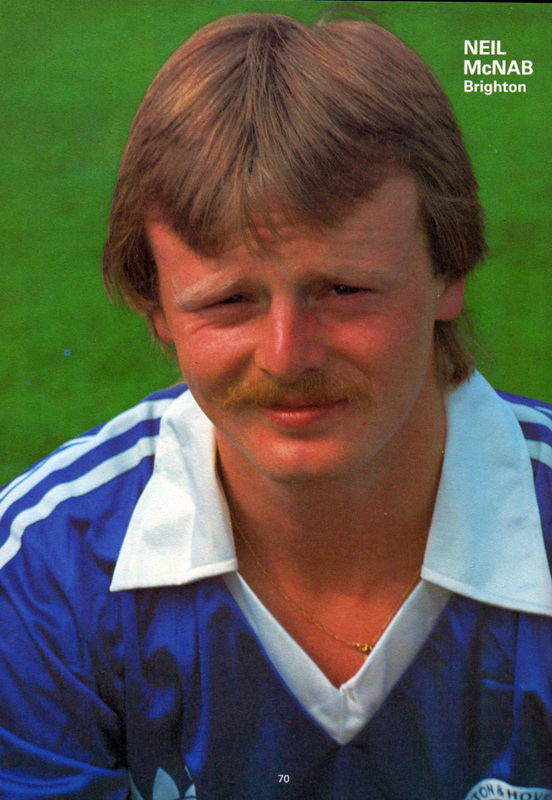 Horton (above), a ubiquitous character, has an influence in the three lines slotting into the back whenever Mark Lawrenson takes off for advanced territory, running the midfield and going on occasional forays behind his front three whenever the opportunity presents itself. In four seasons at Brighton, since he arrived from Port Vale, he has matured into an integrating force with a strong sense of how to exploit time and space. His influence gives Brighton a varied tempo and a less predictable pattern of advance. Horton (above) plays a complete midfield role and his defensive work is tenacious and very professional. Unlike his two midfield colleagues, who allow players to steal goalside oblivious of the pressure it puts on the back four players, Horton is an expert tracker and uses his experience to transfer marking responsibilities when he feels he is being pulled too far away from crucial zones. McHale (above), though he operated well forward, is an industrious player busily looking for possession from the man with the ball, but he is not so aware of the damage those without the ball can do. 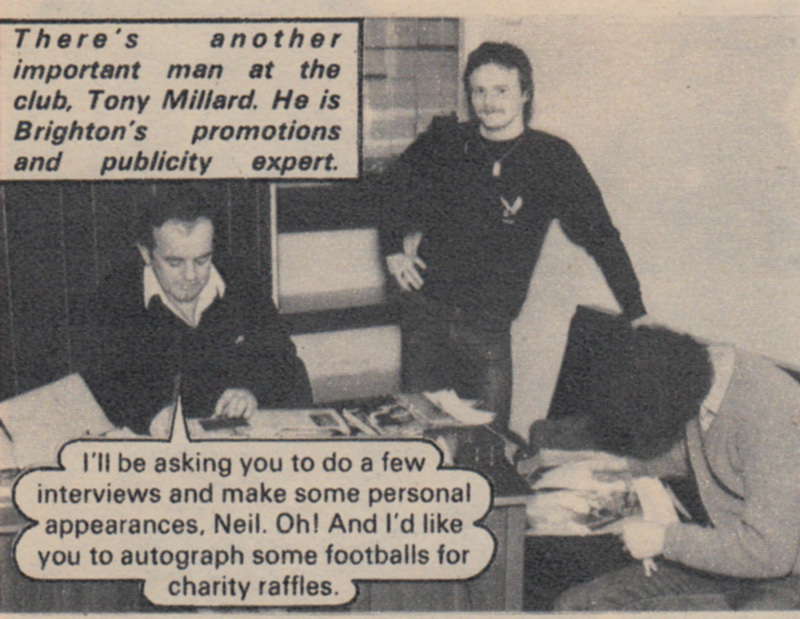 Neil McNab falls into the same trap of being less than attentive to those who ghost behind his area of concentration. On the ball, he has the look of threatening competence as he moves forward with control. The final pass is often less incisive than anticipated, and some of his forward probes are too easily read by those who should be troubled by them. Brighton’s build-up when started by Horton or full-back John Gregory is patient and constructive, but tends to be a fifteen-yard game which is easily closed down by good defenders or by teams that fall off and vacate the midfield space. With a build-up like this, one waits frustratingly for the breakthrough from the back or the run into space which has been created by the diagonal drift of their build up. So often play develops from the right to left, dragging opposition players with it and leaving large spaces into which back or midfield players should be running in order to exploit opportunities on the blind side. Even when they are developing their game around the midfield, and where the opposition is turned minimally, there is still a great need for play to be switched once the options have closed down on one flank or the other. If there was a major reason, in their second game, why their opponents could sit reasonably comfortably it was this tendency to attack in straight lines. 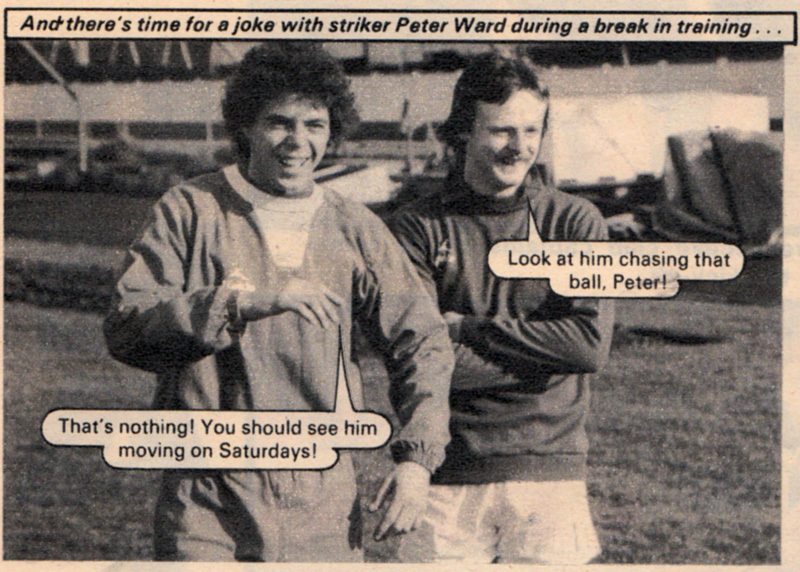 It has been generally accepted by the Seasiders that (above) Lawrenson’s best role is at the centre of the back four. Certainly with he and Steve Foster at the heart of the defence there is a solidarity that will stand them in good stead whenever they play. Brighton’s resources probably dictate this policy, lacking the luxury of being able to use players in their perfect role. I thought Lawrenson playing in front of the two centre-backs last season was more effective because of the strength of his forward runs, and he didn’t have the worry of leaving gaps at the back. 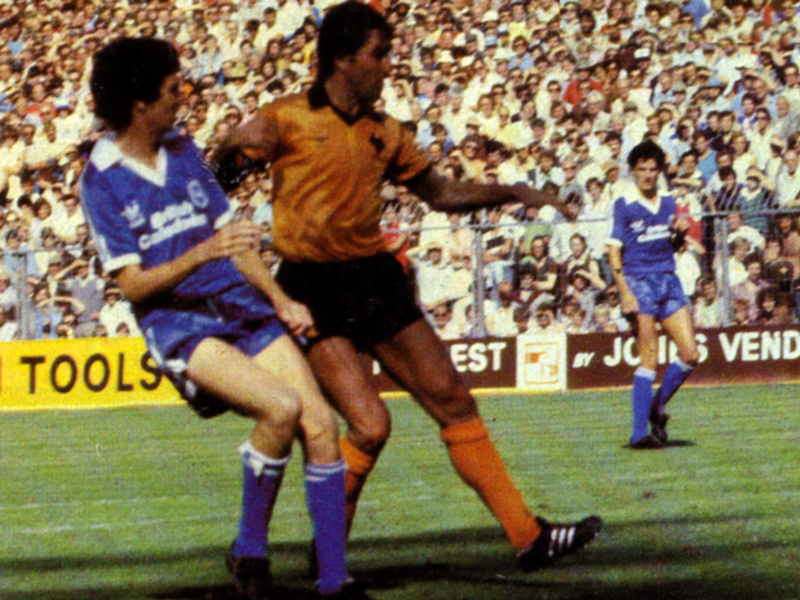 Foster (above) is playing better than ever alongside Lawrenson, with tireless courage and aggression. There are those who feel him to be one of the best young centre-backs in the country. Against Ipswich, it was interesting to see him with the two favourite contenders for the spots currently held so securely by Thompson and Watson. Under far greater pressure, Foster made several early errors – especially when it came to picking up high balls on the edge of the box. But once he settled down, he looked the equal to anybody aspiring to international status. At full back, Gregory (above) turn in his usually immaculate performance both defensively and creatively when he plays the ball forward, but his energy in getting forward into good space seems seriously curtailed. Whether through disinclination or orders, only the player and his manager can know. On the other flank, young Gary Williams (above) gives the impression that, unless he tightens up on his jockeying to players who run at him withthe ball, he could be in for a skinning before the season gets much older. The rest of his game seems to be developing well and the way he linked up with the centre-back in the middle when his partner had been pulled out wide suggests he is learning his craft quickly. Behind this promising back four Graham Moseley (above) looks quick and agile, enjoying the confidence of those in front of him. There are times when he could be more positive in his communication but I suspect his diffidence may be prompted by the perpetual dialogue conducted by Foster just in front of him. 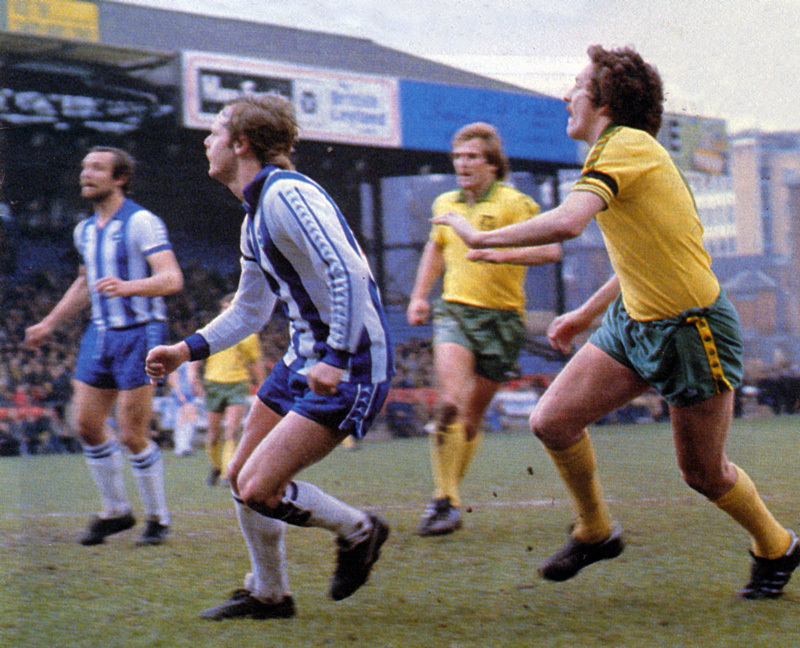 The 1980/81 season turned out to be another one of struggle as Brighton’s reshaped side blew hot and cold in the First Division. 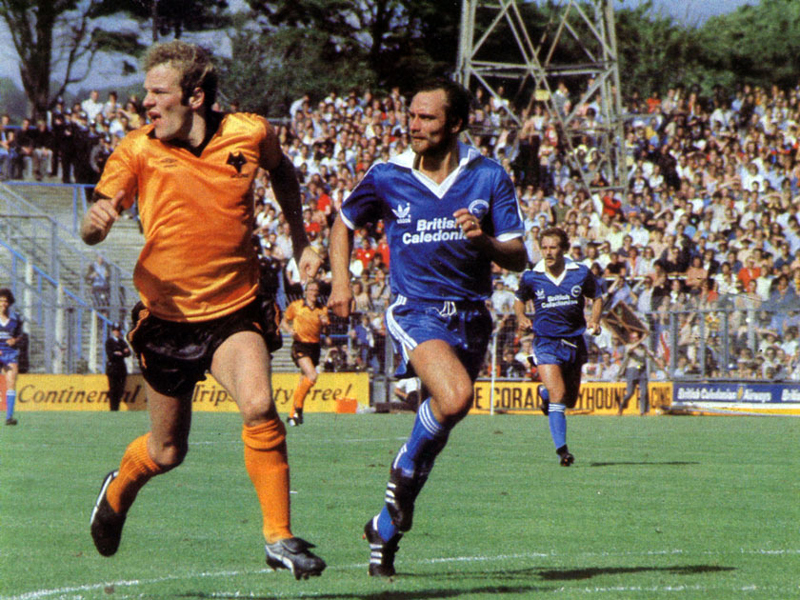 After the opening day victory over Wolves, it took another six games to record another League victory. 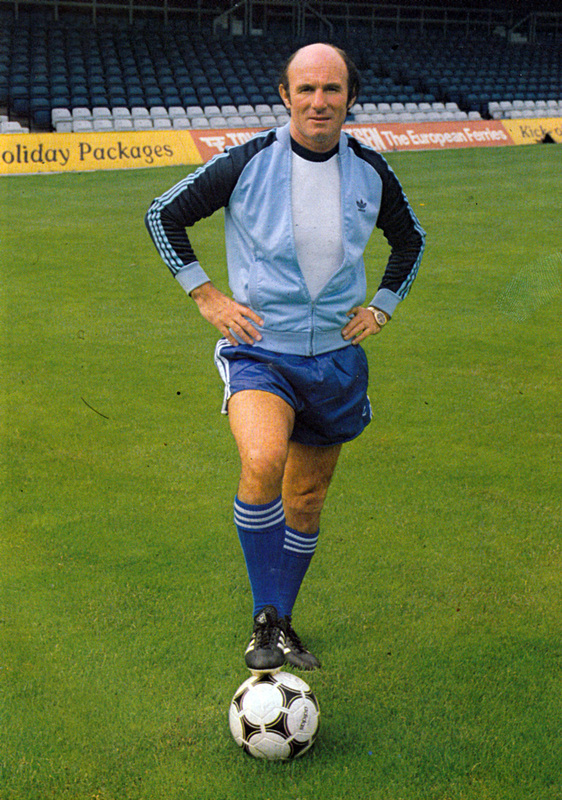 Peter Ward left for Nottingham Forest in the middle of a ten match winless spell from late September that saw Brighton vacate the League Cup and marooned at the bottom of Division One by mid-November. 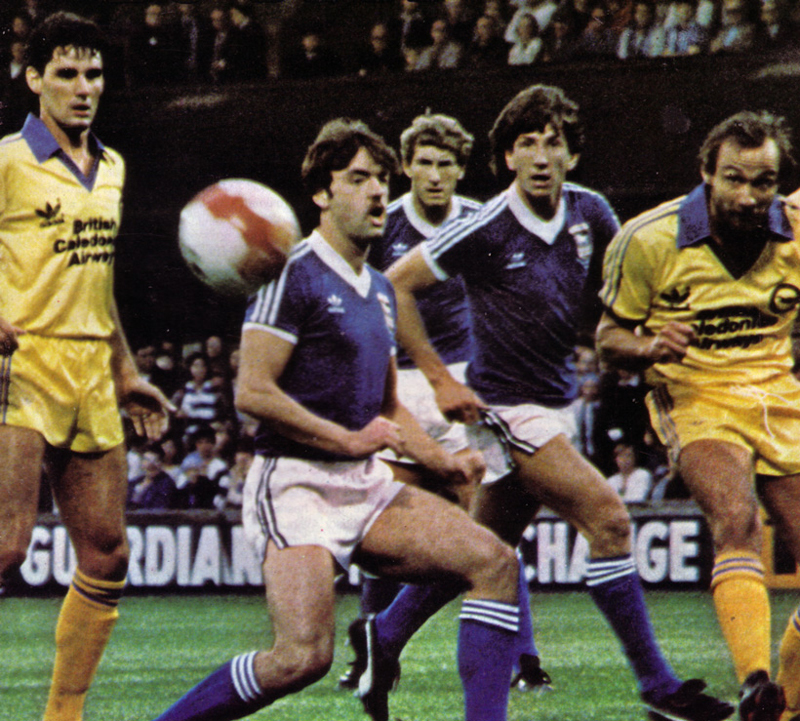 Then, a surprise 1-0 win over League leaders Ipswich Town kick-started a brief run of good form. After another slump in the New Year, when Brighton won just twice in fifteen matches, the Seagulls saved themselves with a miraculous spell of four wins in four matches at the end of the season. This late form showed what Mullery’s most accomplished looking side was capable of. However, it was not without its flaws, as journalist Dave Spurdens capably showed. Although Michael Robinson came good with 22 goals, this did not fully paper over the cracks. 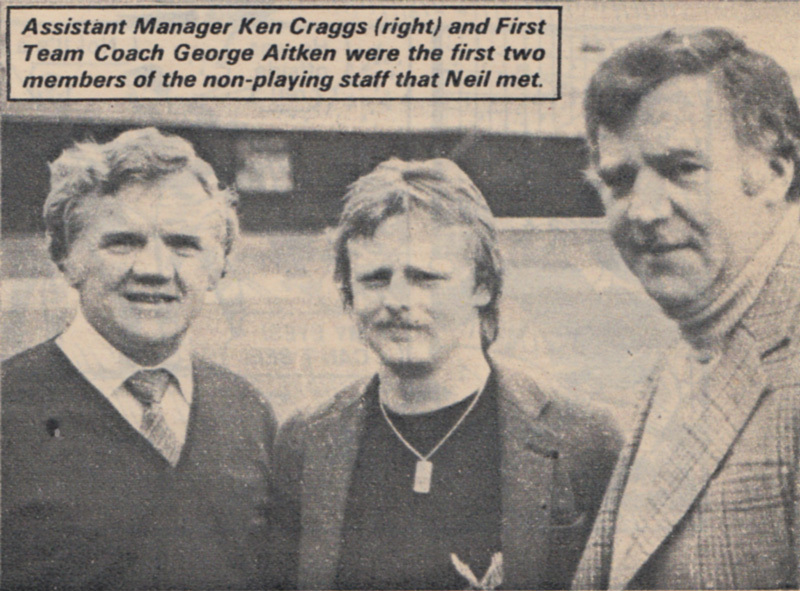 When Mike Bailey took over in the summer of 1981, another re-jig of the squad was in the pipeline. 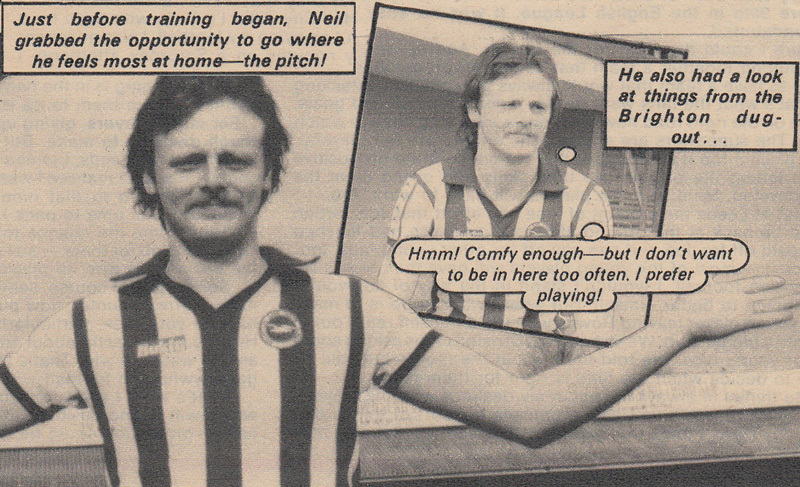 Minus a proper training ground, Brighton players used to practise their skills at the nearby park in Hove. Still, they seem in pretty good spirits here. Neil McNab, Gerry Ryan, Jimmy Case, Gary Stevens, Gary Howlett, Chris Ramsey and Terry Connor all smile for the camera in their classic adidas apparel. 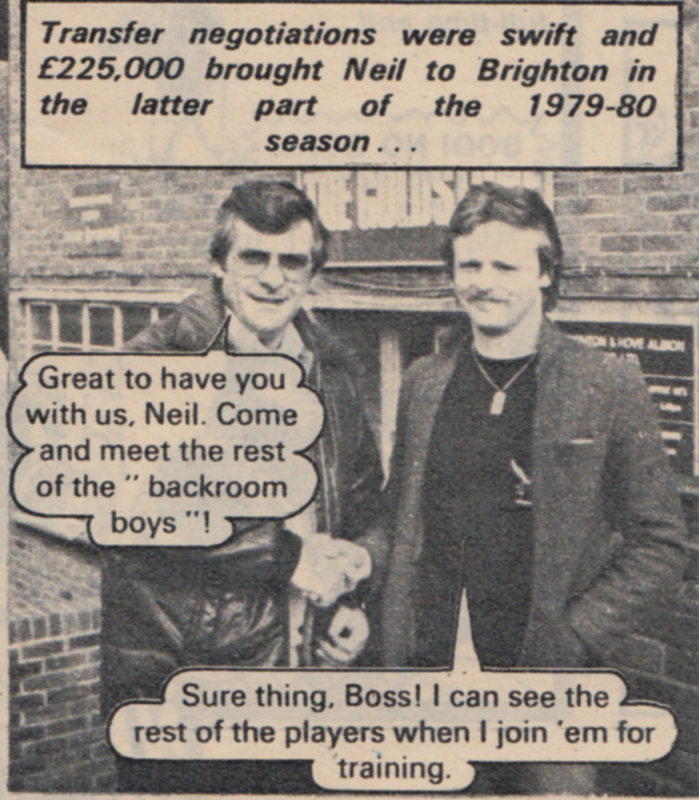 A 5-1 defeat at Southampton doesn’t make for the best of debuts for your new club, but ex-Bolton midfield man Neil McNab is delighted with his £200,000 move to Brighton. After playing for Spurs in the infamous promotion game with Southampton in April 1978 (which Brighton fans deem a ‘fix’), McNab had found himself frozen out of the side by the signings of Osvaldo Ardiles and Ricardo Villa. 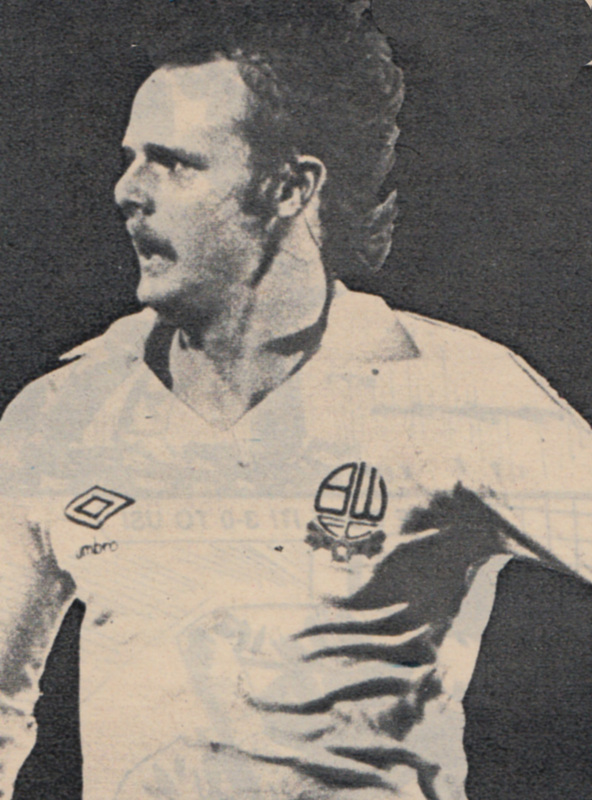 He joined Bolton Wanderers in November 1978, Second Division Champions in 1977/78, but by 1980, they looked certain for the drop from the First Division. On the pitch, McNab brought some much needed class to the Goldstone. His busy, methodical play, with an excellent range of passing, did much to help the club secure top flight status comfortably.